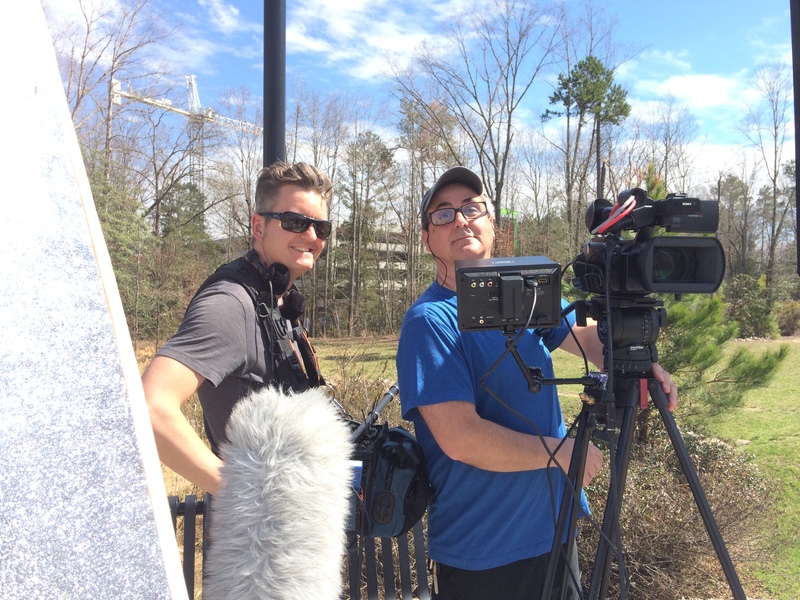 Sound Man Aaron Bittikofer, camera left, and Nic Beery, camera right, on location. A former Ringling Bros. circus clown, Nic now prefers to be behind the camera. His films have been in over 70 festivals from Cannes to New York City, and have won numerous awards, including a recent Emmy nomination and an Indie Arts award winner for the North Carolina publication, The Independent. Nic’s film Sayonara to Hello won “Best Documentary” at the 2013 Knoxville Film Festival. Selected film list Click to view entire film. Nic is the owner of BeeryMedia.com, a boutique video production company in Carrboro, North Carolina, and founder of the Carrboro Film Festival.